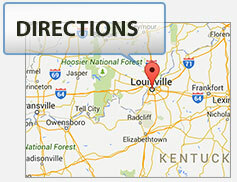 PIP insurance covereage is important in Kentucky Motorcycle Accidents. Kentucky law requires automobile owners to carry PIP coverage on their vehicles. PIP coverage is also referred to as No Fault Insurance. PIP/ No Fault Insurance covers the first $10,000.00 of insurance for medical bills and lost wages of people involved in accidents, regardless of whose fault the accident is. This insurance benefit coverage will enable the injured person to seek medical treatment and have it paid for from the PIP coverage. This is important in helping injured people to obtain medical care for their injuries related to the accident the accident, including coverage for lost wages while the person is injured. Kentucky law does not require motorcycle owners to carry PIP/ No Fault Insurance. However, it is available, and the prices are affordable. 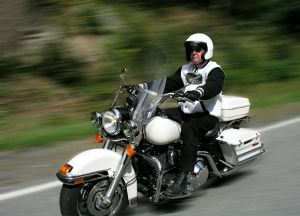 The reality is that a person on a motorcycle, driver or passenger, is more likely to be seriously injured in an accident. Because serious injuries are likely in motorcycle accidents, PIP/ No Fault Insurance can be very important in securing medical treatment, paying for medical treatment, and covering lost wages (while off work from the injuries/accident). While motorcycle and auto owners shop for lower prices for their insurance coverage, it is important to remember that PIP/ No Fault Insurance will be included in the car and truck insurance, but not necessarily in the motorcycle insurance. Make sure that if you are motorcycle insurance shopping that you ask about the PIP/ No Fault Insurance coverage and its costs. The costs are low, especially in light of the benefits afforded. Not having PIP/ No Fault Insurance on your motorcycle should be considered as being penny wise and pound foolish. The author if this article is attorney Brent T. Ackerson. For more information on PIP/ No Fault Insurance coverage and benefits, related to accidents, email Brent by clicking here (by clicking here) or call Brent directly at (502) 882-5176.